Relax, soak up the sun and enjoy spectacular sea and beach views from this spacious, stylish, owner-run guest house. Exclusive and private, the emphasis is on personal attention and service. Lalaria has five beautifully decorated en-suite bedrooms. There are golf courses, horse riding and restaurants nearby. Visit the UShaka Marine World, the Sharks Board, or Riverside Bird Park. Day trips to Hluhluwe Game Reserve, Lake St Lucia or Zulu cultural tours. Children over 9 years are welcome. Deluxe Sea View Suite Landlord Sleeps 2 Includes: B & B Very spacious sea view suite with large private patio offering 180' sea and breaker views. Our stay at Lalaria was beyond amazing. The room, the view and by far the hospitality. Linda and Tony are such amazing hosts!! So welcoming that it makes you sad to leave. We will definitely be returning! Very clean room, great hospitality and food. We will definitely visit again. My wife and I were on our honeymoon at the north coast and staying at Lalaria was the best experiance ever, excellent service, friendly staff, rooms looked awesome and gave us a warm feeling. We will defenitley be comming back soon. I had a fantastic weekend. The hospitality was fabulous. Will definitely visit the place again. It was wonderful and warm. Will definitely visit the place again. The owners were the friendliest people. I would just like to say thank you and may God bless Carol with lots of years. Words are just not enough for such a humble person. Caryl and Errol were the perfect hosts. What a beautiful home they have and to let us share it was just great. They are the perfect hosts and went out of their way to make our stay one to remember. We would recommend staying at Lalaria to all our friends. The view from the bedrooms was just fantastic. Just wished we could have stayed longer. 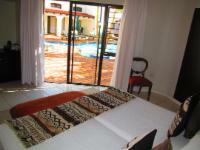 Lalaria is 0.8km from the centre of Umhlali Beach , the nearest airport 17.3km (King Shaka International Airport).